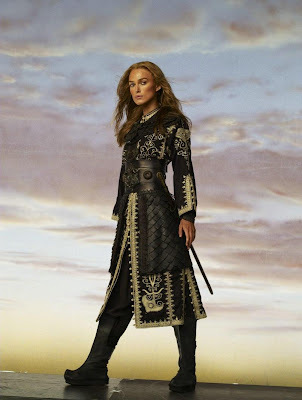 As many of you might know these days Pirates of the Caribbean 3 was launched. 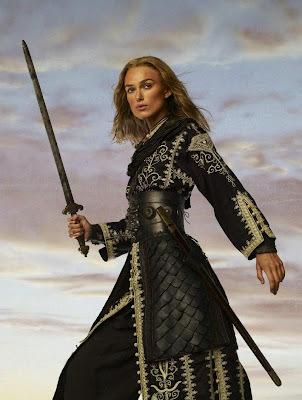 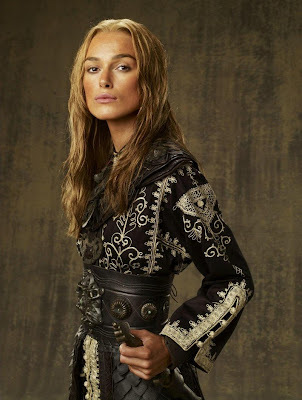 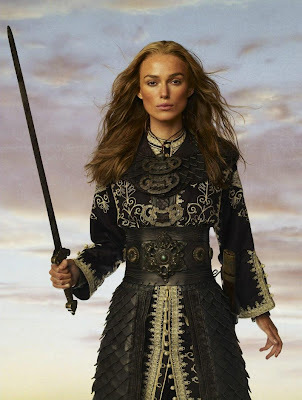 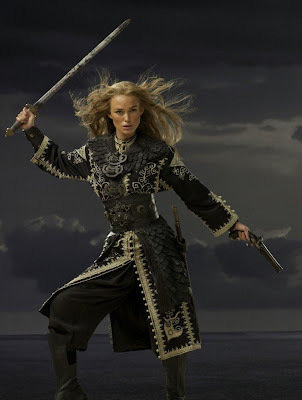 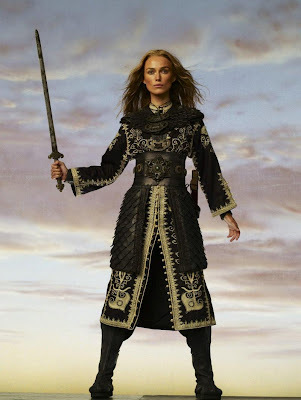 Keira Knightley is an actress that played in this movie, and what impressed me is her costume. 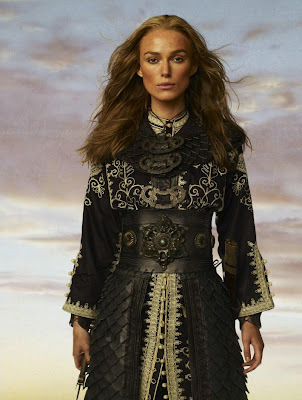 I love it, and I would like to have something like this to wear, but I don't know who create something like this, and at what price. 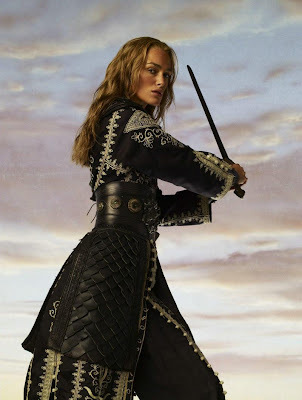 Maybe one of my readers will help me, who knows. 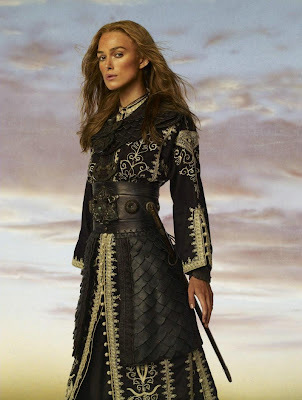 Until then let's admire Keira Knightley beautiful costume, and by the way this costume remembers me about this dragon leather bag.